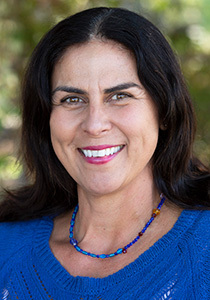 Tara received a Bachelor of Arts Degree in Environmental Studies from Sonoma State University and a California Multiple Subject Teaching Credential from Chapman University. She taught English for one year to First-Fourth grade children at the Escuela Waldorf School in Cuernavaca, Mexico. 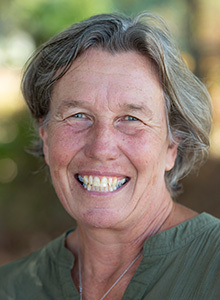 Additionally she participated in the Waldorf Education Summer Institute at the Rudolf Steiner College in Fair Oaks, CA. 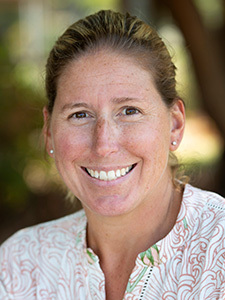 Tara joined the Novato Charter School in 2002. 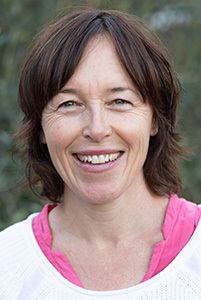 In addition to her teaching position, she has led the development of the Movement curriculum and been Faculty Chair. “For me, teaching is all about connections: to look into the eyes of children and see who they are and who they are becoming. I am thrilled every day by this journey, and by the realization that I play a crucial part in shaping it. I always wanted to work with children. It just felt right for me. Every day that I am greeted by the sparks of curiosity that flare from my students’ eager looks, my decision to become a teacher is reaffirmed. I have witnessed firsthand the positive impact that a safe, stimulating, and loving school environment has on a child, so I cannot imagine doing anything else. As a child, I loved being outdoors. I enjoyed farming, and now yearn to share these passions with my students by nurturing a love for the natural world. Becoming responsible and caring stewards of our environment begins, I believe, by connecting with our natural surroundings. For how can you protect what you don’t love? And how can you love what you don’t see, hear, and touch? Children are most at peace outdoors, in nature. In the Novato Charter School, I have found a community of like-minded individuals who all work in the best interest of the children. My colleagues have rich, diverse backgrounds, each offering a unique perspective. Teachers here truly believe in what they do and enjoy an uncommon freedom to explore different approaches to education, always striving to perfect their craft. Mrs. Espinosa has an extensive background in Early Childhood Education. She graduated from San Francisco State University with a B.S. in Liberal Studies and a Multiple Subject Teaching Credential and completed the Waldorf Teacher Training Program and certification from Rudolf Steiner College in Fair Oaks, CA. 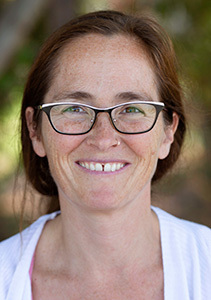 Her teaching experience includes five years as a Kindergarten and First Grade teacher at the Oxford School in Berkeley, CA, a socially, economically, and culturally diverse public school, as well as nine years as a preschool teacher at the Mulberry School, also in Berkeley. “I want children to experience a rich curriculum of art, music, and nature. I think young children are gifted with imagination and creativity and I seek to preserve the innate wonder of early childhood. At the Novato Charter School, family involvement makes our school very special. Teachers work together in creative ways and there is a warm spirit of cooperation. We give children ample time for creative play both indoors and outdoors. This allows children to strengthen bodies, develop healthy social skills and foster interest in the world around them.